Benefit from eating Chia for less 50 cents per day. By eating 2-3 tea spoons daily. 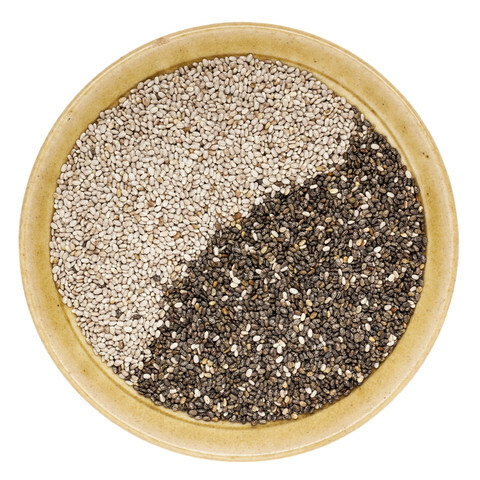 A 100-gram serving of chia seeds is a rich source of the B vitamins thiamine and niacin, and a good source of the B vitamins riboflavin and folate. The same amount of chia seeds is also a rich source of the dietary minerals calcium, iron, magnesium, manganese, phosphorus, and zinc. Chia seeds may be added to other foods as a topping or put into smoothies, breakfast cereals, energy bars, granola bars, yogurt, tortillas, and bread. In 2009, the European Union approved chia seeds as a novel food, allowing chia to be 5% of a bread product's total matter. Chia seed is used to prepare a sharbat (cold beverage) in Iran. 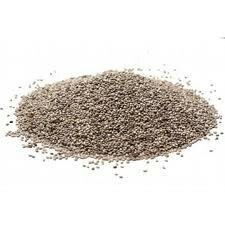 Chia Seeds are tasteless and you can add the chia seeds to your food, such as salads. Watch the video below, get exiting. Find out your way how to eat Chia and stay healthy all the time.